Dusty Pearson, from Trenton, is an avid outdoorsman to say the least but absolutely crazy about all-things duck hunting especially calling! 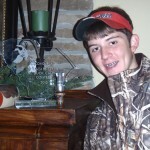 He got “the fever” last duck season (2010-2011) piddling with Cheatham’s boys, Alex and Will, on several hunts. He saved his money and bought a couple calls last February. In March at the Palmetto Sportsmen’s Classic he bought his Echo Diamondwood Timber Call that he had his eyes set-on since this whole “call thing” started. There is not a day that goes by he’s not practicing on his calls. …Trust me! As a matter of fact, his parents threaten to put him on duck calling restriction if he lets his grades slip or doesn’t keep up with his chores. Well, since he’s be “making noise” with those calls and aggravating his parents to death with them, they found the closest calling contest and told him he was going, like it or not! He was a little worried since he’s never been to a calling competition to know what to expect—they told him he had two weeks to figure it out. Dusty competed in his first duck calling competition on March 4th at the 2012 S.C. State Junior Open Duck Calling Championship using his Echo Diamondwood Timber Call. He placed second, 12-points behind first place, to last year’s winner, who also has a list of wins across the southeast. The other boys were also seasoned competitors with sponsors, coaches and years of practice. 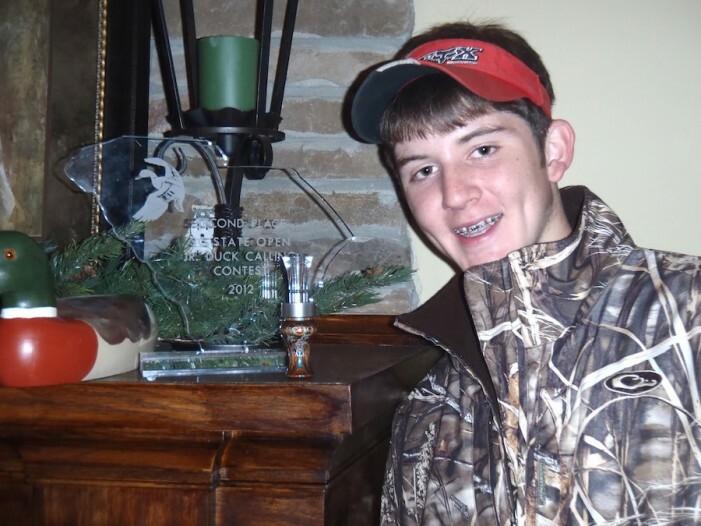 His duck hunting sidekick, Will Cheatham, also competed and placed 4th. That’s pretty awesome for a couple rookies!